When timeless Professional Bowler Association star Carmen Salvino, a long-time very close friend of Andy, laces up his bowling shoes and throws his first ball in competition in the Go Bowling! PBA 60th Anniversary Classic on Tuesday, Feb. 13, at Woodland Bowl, he’ll set a record that will never be matched. At age 84, PBA’s most famous showman will become the only player to bowl in the first PBA tournament ever held – the 1959 Empire State Open at Schade’s Academy in Albany, N.Y. – and the 2018 tournament at Woodland Bowl that will celebrate the PBA’s 60th year of continuous competition. 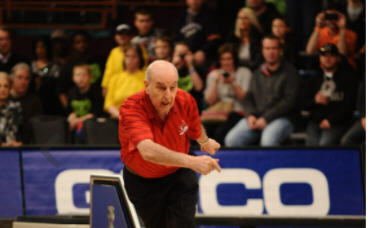 He’ll break his own record which he set when he bowled in the PBA’s 50th anniversary gala in Las Vegas at the age of 74. And he’ll improve upon his own record as the oldest player ever to bowl in a PBA Tour event. For more details, click press release here.